MANILA, Philippines - It has been barely five days since President Rodrigo "Rody" Duterte assumed the top leadership of the country and he has been true to his words in wiping out the illegal drug trade in the Philippines since he promised that to the Filipino people during the pre-election period. Today, July 4, PNP has formally launched its “Oplan Katok” program to help the drug users and pushers clean their names in PNP wanted list. In a two-minute video circulating online and shot at Riverside, Brgy. Sto Nino in Paranaque City, uniformed Police officers dropped by a house of an alleged drug user and informed him that his name is in the “hotlist.” The officer also informed the person that PNP is currently offering an amnesty-like program where all the confessed pushers, users and runners can surrender themselves to the authority so they can sign a pact and commit themselves not to use drugs anymore before it is too late. The Police reiterated that once he surrenders himself, he will not be put behind the bars. Rather, he will be guided and monitored accordingly until he gets his name cleared from the hotlist. Rampant shootouts between Police and alleged drug pushers that resulted to the suspects' untimely and bloody deaths have triggered the drug-involved citizens to voluntarily surrender. According to Ted Failon on his morning radio show, more than ninety suspected drug pushers have now been killed since May 5. In line with this, drug-related offenders who are scared to approach the Police are free to see their Barangay Captains and sign the amnesty program form and agreement at their designated barangay halls. Just this morning, a total of eighty-eight drug users and pushers combined have freely yielded to the newly installed Ormoc City Mayor and popular celebrity Richard Gomez. It was former Davao City Mayor Rody Duterte who started the “Oplan Katok” strategy in his home town. All the self confessed drug users and pushers in Davao were given another chance inside the city's rehabilitation centers. Davao City government is also extending its support to the strayed Davaoeños by providing them livelihood trainings and business capitals after they finished the rehabilitation program to ensure that they will not go back to the forbidden drug trade. 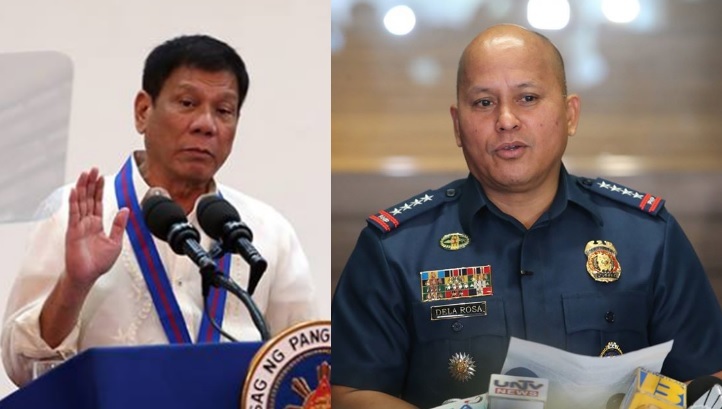 Meanwhile in Camp Crame, PNP Chief Ronald "Bato" Dela Rosa confirmed that nine out two thousand Police officials and their subordinates were tested positive on drugs. The tough-speaking General expressed his dismay towards his rogue cops and the other drug-involved officials who didn’t surrender despite of the 48-hour warning deadline the he has set last week. The other key cities and municipalities in the country are also expected to implement “Oplan Katok” to beat Duterte and Dela Rosa's deadline of three to six months elimination of illegal drug trade in the Philippines.